I shot Amanda & Trevor's wedding photos at the Hotel Du Village in New Hope, PA. The Hotel du Village is a charming little venue. I really liked that the venue has plenty of nice places for photos both inside and outside the property. They had a beautiful giant front door, so I thought why not take advantage of that and incorporate that into one of the photos. We were actually standing near the door waiting for the groom to get ready so that we can begin with bride and groom photos, but since we had a few minutes I thought it would be best to grab a few shots. I think the door framed the bride very nicely. The large windows were very impressive and the green ivy on the sides created some nice contrast in the image. It was raining heavily this day, but we didn't let that stop us from taking some amazing photos. Rain or shine, I am always prepared to deliver amazing images. 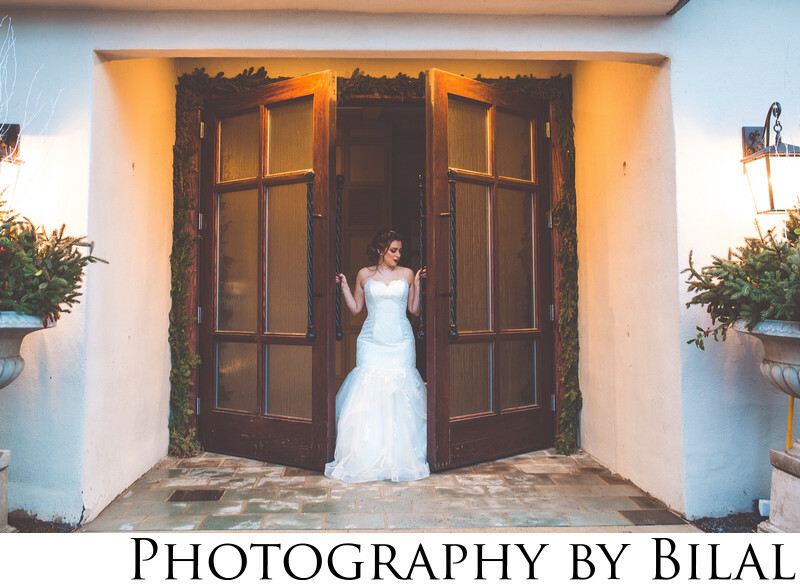 Now that I am familiar with the venue, I would love to be able to shoot another wedding at the Hotel du Village. Do not hesitate to book your wedding at the Hotel du Village in New Hope! Location: 2535 River Rd, New Hope, PA 18938.